A motorcyclist survived a crash with a tractor trailer in Louisiana that has left him in serious but stable condition. Meanwhile, the tractor trailer driver has been charged with DUI. The 50 year old biker in Slidell LA was turning onto US 190 West when he was hit from behind by the truck. The man and his 2014 Harley-Davidson bike were pinned under the truck. Witnesses said that the trucker continued to drive for a block and then stopped. The motorcyclist was admitted to a New Orleans hospital in critical condition but his condition has improved in recent days. The truck driver has been booked on charges of reckless driving and first degree negligent injury, as well as DUI. 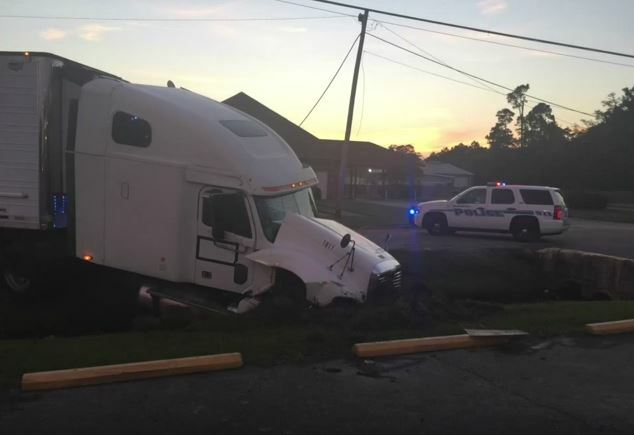 Police believe the drunk trucker passed out behind the wheel. As Virginia trucking accident attorneys, our staff only represent the victims of drunk drivers, never the drunk drivers themselves. We always hate to see these drunk drivers harm others. We see every day the wrongful deaths and terrible injuries that drunk drivers inflict upon innocent people. Almost 30 people die in drunk driving crashes in the US every day, with the cost of this totaling $51 billion per year. Our legal team often sees many drunk driving cases involving trucks, which is even worse than a regular DUI case. Truck drivers have a commercial driver’s license, which means that they are held to a much higher standard of behavior behind the wheel than regular drivers. Anyone who has been injured by a drunk truck driver should consult with an experienced personal injury attorney. It is very important to look for an attorney that is experienced in DUI cases involving truckers, as these cases are more complicated than regular DUIs.